You don’t need to be a technology expert to transform your house into a smart home, nor do you need an endless supply of cash. From smart meters and thermostats to internet connected appliances you can control from anywhere, achieving your dream of living in a smart home is becoming more achievable by the day. If you think your house could do with an upgrade, here are 5 amazing gadgets that will help you start transforming it into a smart home. 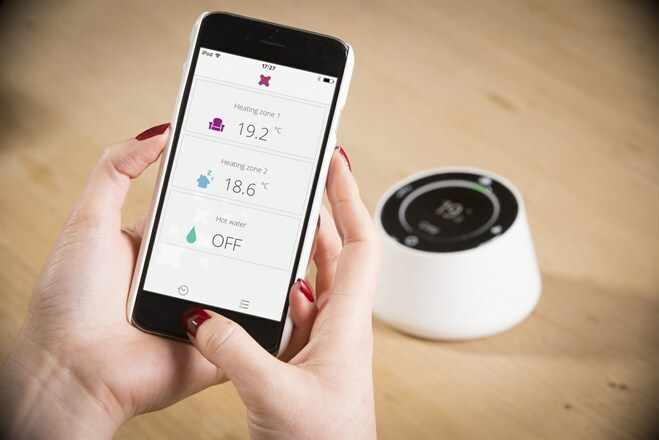 Cosy is a wireless, multi-user home heating system that puts temperature control in the palm of your hand. Thanks to its mobile thermostat, you can be sure the temperature is always set exactly how you want it, wherever you are. Using the Cosy app on your smart phone, you and your family can control your home environment – whether you’re at home, at work or away. It’s been a year since Amazon first introduced the Echo in the US, and the device has gone from strength to strength. While at first glance it may look like your run of the mill Bluetooth speaker, the Amazon Echo is much more than that. The in-built personal assistant, Alexa, works in a similar way to Siri and OK Google, answering questions, reporting traffic and weather updates, and much more. Echo also integrates with a number of other devices and services, including Philips Hue, WeMo and Wink. With Yale’s Smart Lock, you can say goodbye to your keys without saying goodbye to security. You get a number of options for how you want to open your door, including a PIN code, key card, key tag, remote fob, and even directly from your smartphone if the device is connected to a smart home system. Hate cleaning but can’t stand living in a messy house? Well say hello to the Roomba 980, the latest vacuum from iRobot. Building on the success of its predecessors, the Roomba 980 drives itself around your home, hoovering surfaces as it goes, before returning itself to its charging port. What makes this model stand out, however, is the fact that it connects to your home Wi-Fi network, allowing you to remotely control it via your smartphone. With so many different brands releasing a variety of different internet-connected gadgets for your home, it can soon become difficult to keep track of them all. Samsung SmartThings works as a smart hub for your home, effectively connecting all of your smart home technology together and allowing you to control them all from wherever you are via the SmartThings app. The list of different devices SmartThings is compatible with is growing by the day, and included Yale Smart Locks, Philips Hue lighting, Sonos sound systems and more.